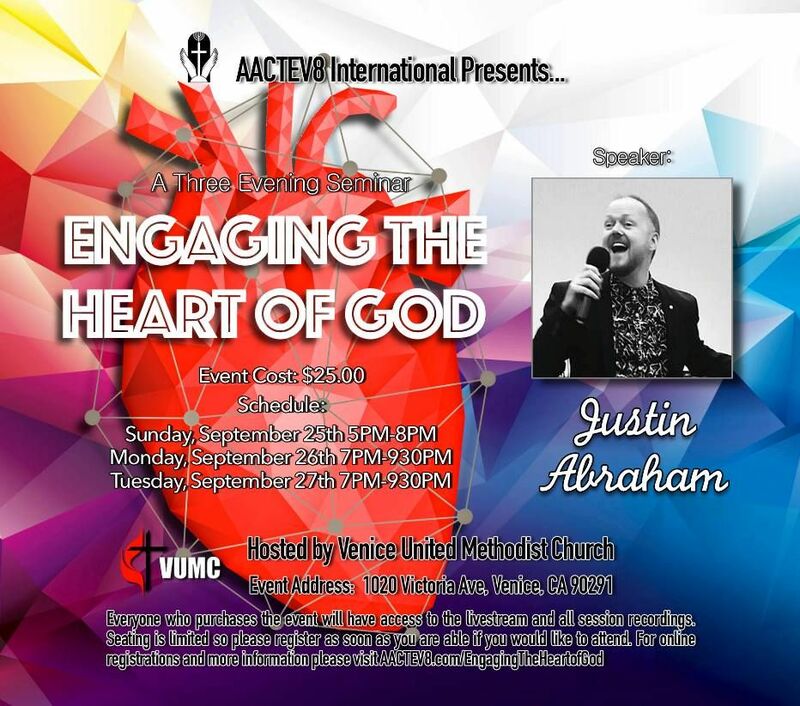 AACTEV8 International hosts Justin Abraham of the Company of Burning Hearts September 25th-27th, 2016. Please join us live for this powerful three evening seminar to hear Justin Abraham delve into the depths of how to engage the heart of God! If you are interested in participating with this event you may either attend in person by purchasing a ticket here or you may purchase the live stream on the top of this current page. All Gold subscribers will receive this conference as part of their subscription package or you may purchase it out right above. To watch the event live, simply click on the following links below at the appropriate time and wait for the event to begin! If you have any questions please email us at AACTEV8ministries@gmail.com.